One man's junk is another man's treasure. I grew up in a home where many Saturdays were spent "junking" (shopping around at yard sales, flea markets, antique shops, etc). It can be quite an exciting and rewarding activity. 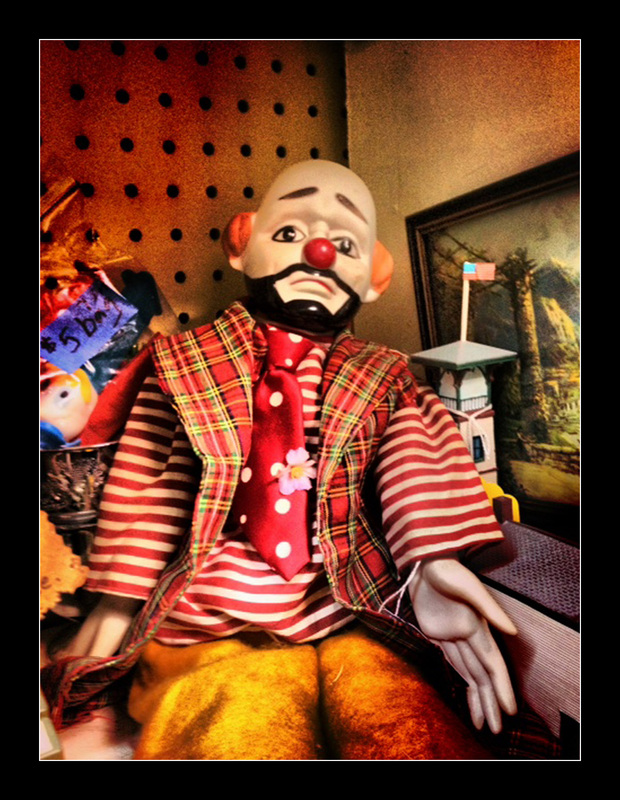 Here's a photo of a creepy clown I encountered recently at High Street Emporium in Ebensburg. 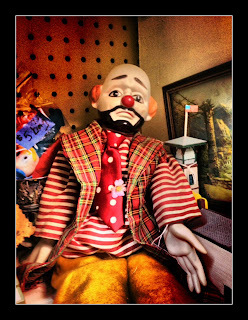 I'm one of those people who are weirded out by clowns, yet I found this one was rather interesting for some reason.